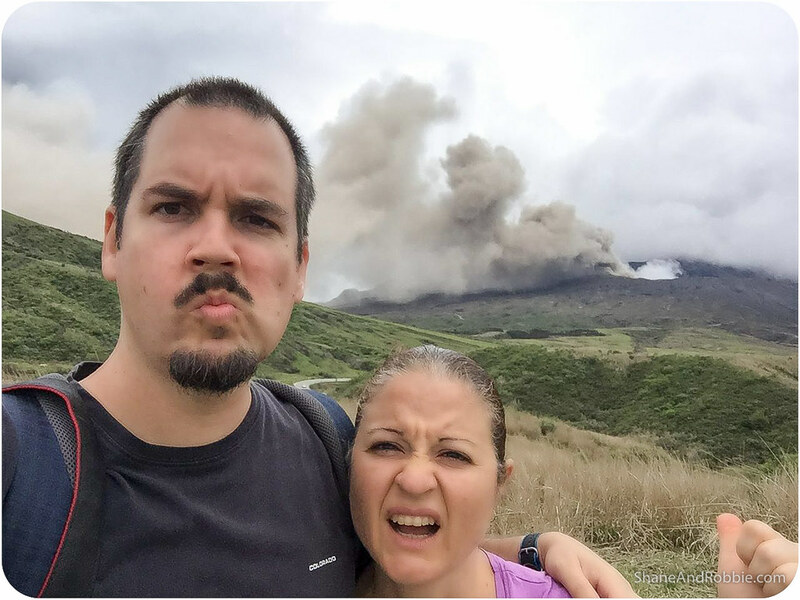 Call us stupid, but we went to peer into the pit of Japan’s largest active volcanoes today. Aso-san (i.e. 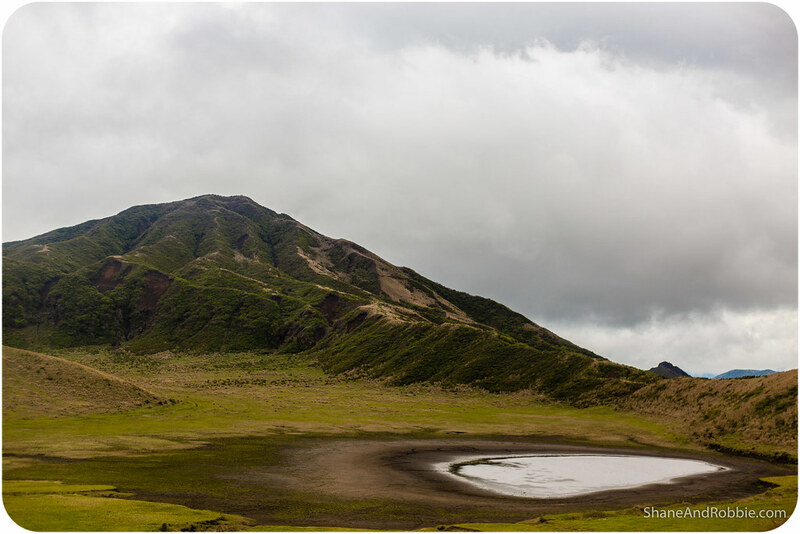 Mount Aso) is one of the largest volcanoes in the world, with a caldera that’s about 20km in diameter and 128km in circumference. The caldera is so big, in fact, that it contains towns, trains lines, roads and acres of farms. It was hard to get a sense of the size of Aso-san from inside the caldera today, but certainly we felt very small staring up at the towering edges of the caldera from the train as we entered the crater. The current Aso-san crater formed some 90,000 years ago when a huge eruption caused large amounts of pyroclastic flow and volcanic ash to be ejected from the volcanic chamber, producing the huge depression (caldera) visible today. Technically the volcano is still considered active, which is terrifying when you think of the scale of it! 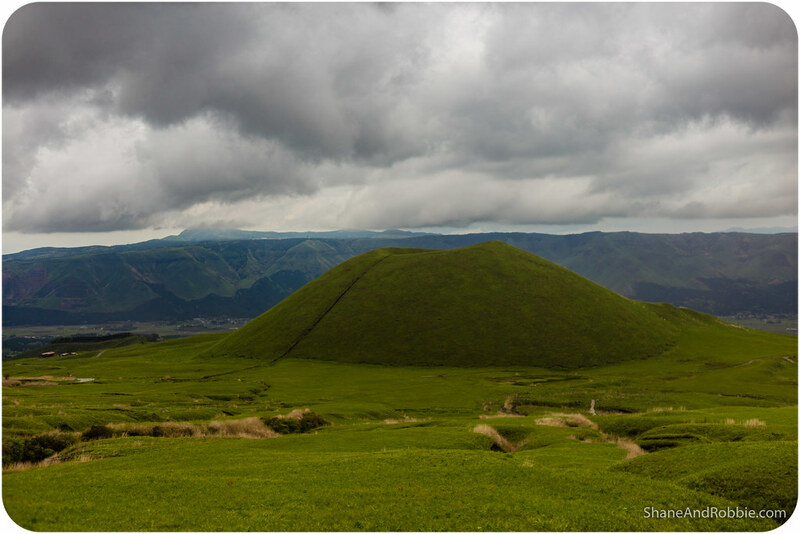 Aso-san is so big it contains smaller volcanoes within its caldera; there are 17 active volcanic cones within the Aso-san “super volcano” or “Ring of Fire”, as it’s called. 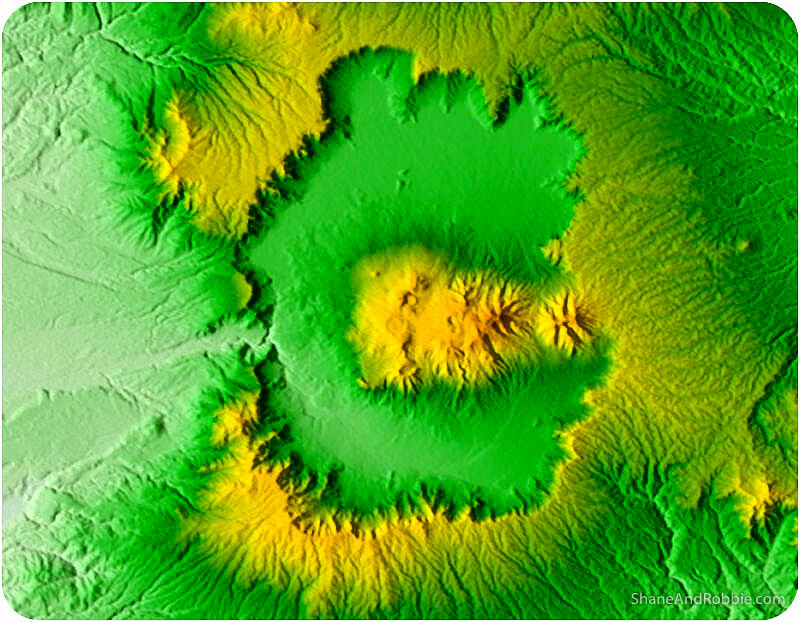 The topographical map below (from https://volcanocafe.wordpress.com/2014/12/11/mount-aso-aso-san-japan) shows how big the main caldera is, and all the smaller volcanoes inside it. Driving through the Aso-san caldera by bus today we passed a number of these smaller, dormant volcanoes. 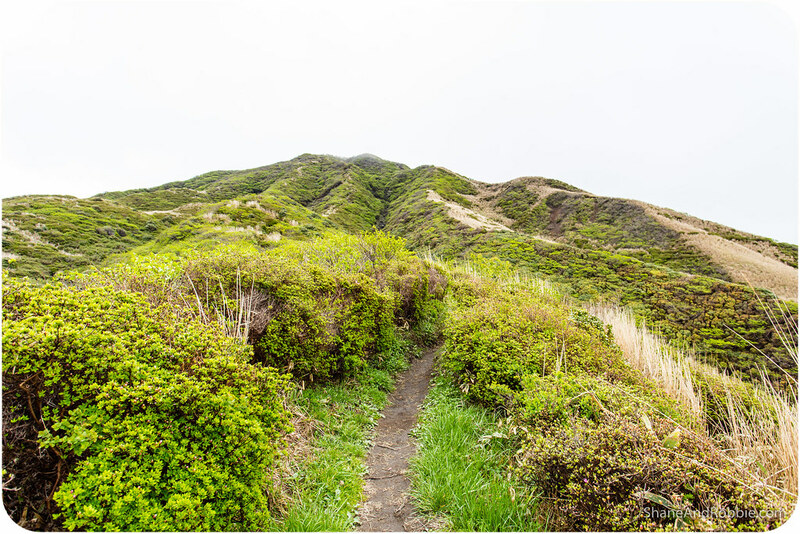 One of the volcanic peaks that is most certainly NOT dormant at the moment is Nakadake (i.e. Mt Naka). 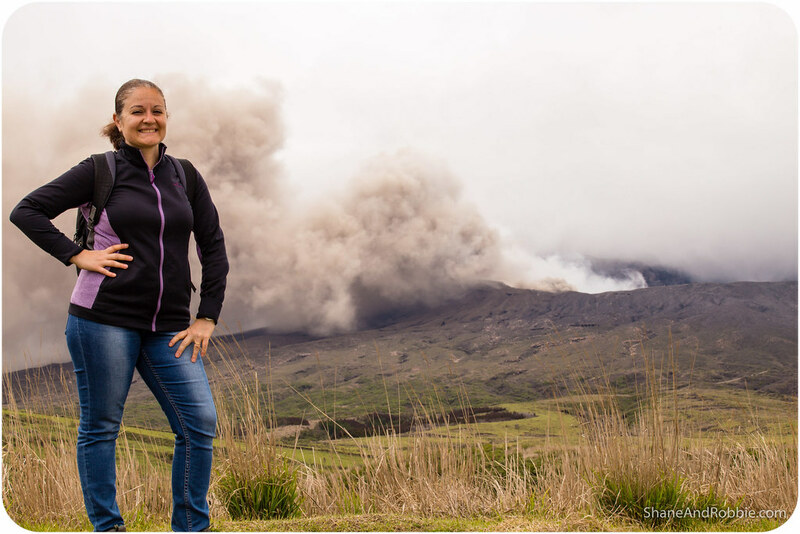 This volcano has been very active the past century or so, erupting 6 times in the past 70 years. 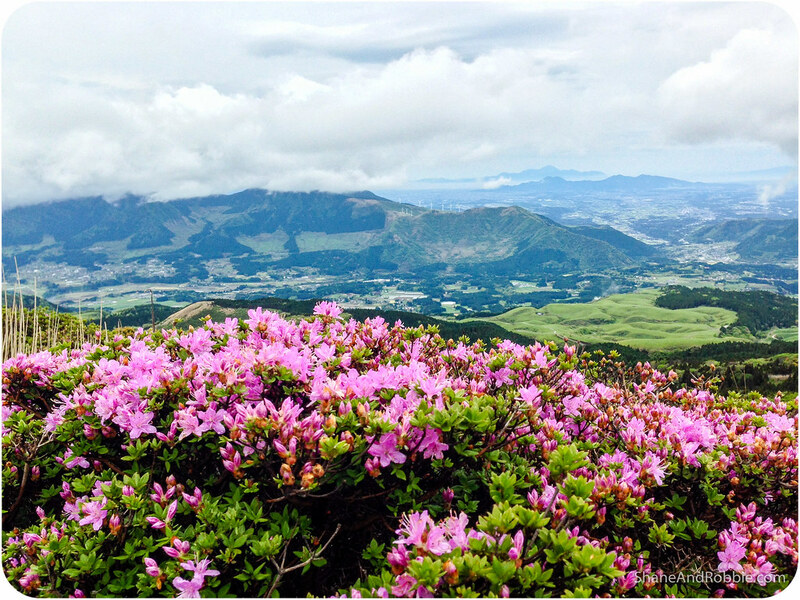 Currently Nakadake is very grumbly and, since August 2014, the top of Nakedake has been off-limits. 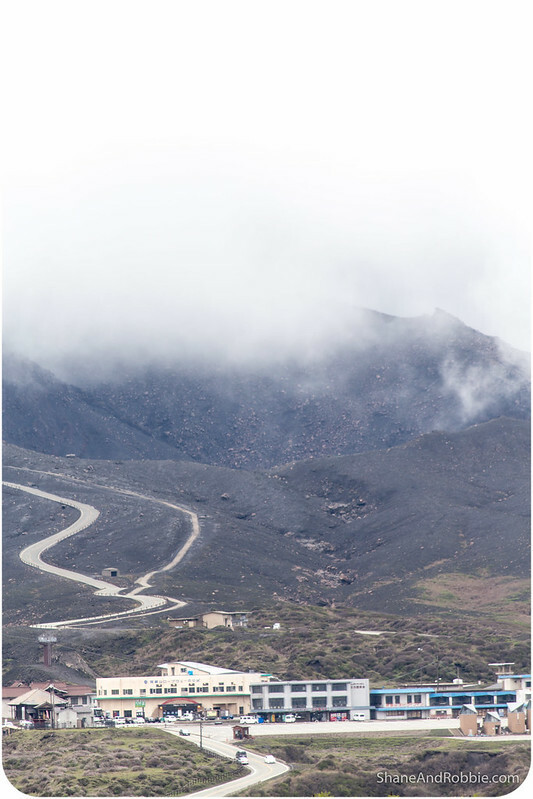 The cable car that normally whisks you to the very top of the Mt Naka has been closed since last year due to the constant billowing clouds of ash and colourless, odourless, toxic sulphurous gases. We couldn’t get close to Mt Naka due to the exclusion zone that has been set up, but we got close enough to see how active it is! 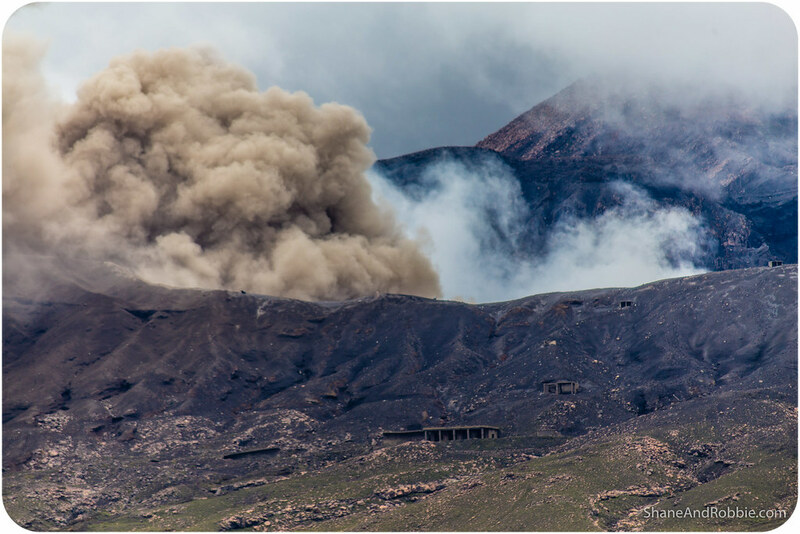 There was a constantly bubbling, gushing cloud of ash and gases coming from the mountain, and we stopped a couple of times when it got particularly noisy, wondering what the hell we were doing so close to an active volcano?! 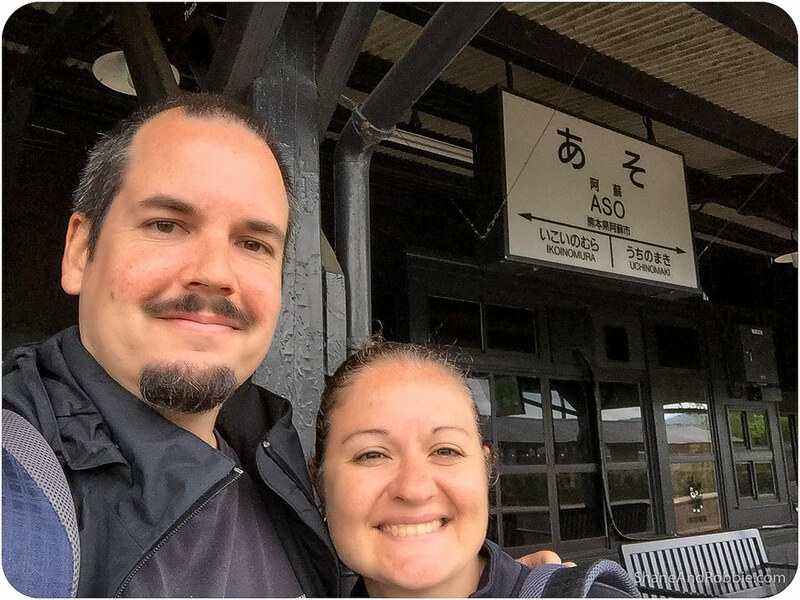 We got to the Aso-san super-volcano by catching the train from Kumamoto to Aso-shi township, and then the bus up the mountain. We could see the towering peak of Nakadake and its cloud of emissions from miles away; and driving up by bus, we saw a layer of ash covering the road. 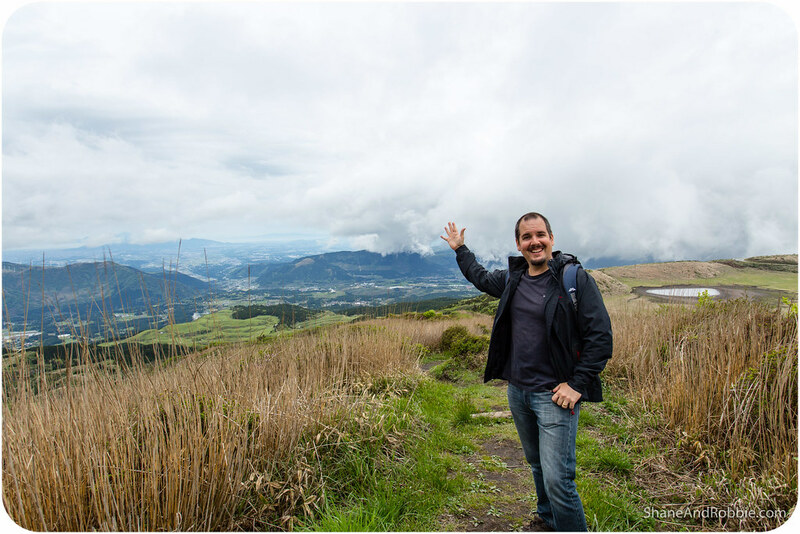 Luckily the area we were going to was on the windward side of the mountain, and thus free from the ash and gas clouds. We caught the bus to the Aso Volcano Museum, which is about three-quarters of the way up Nakadake. 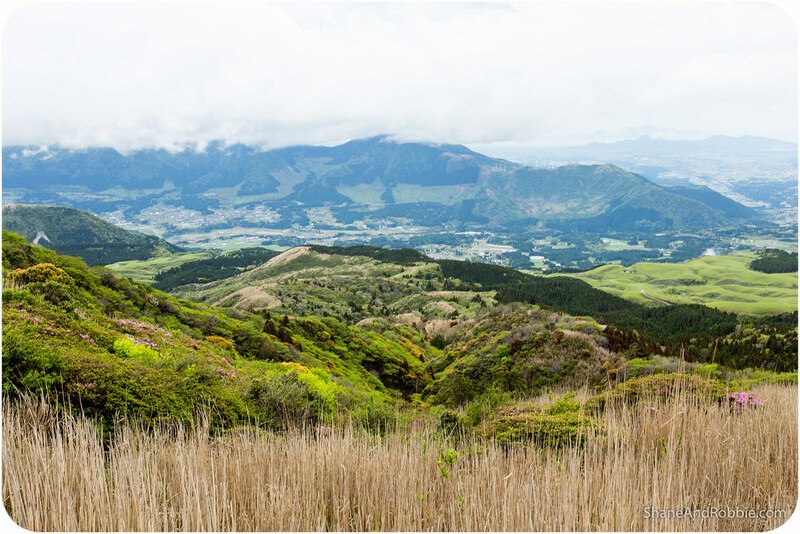 At an altitude of 1,200m the area was still lush and green, but off in the distance we could see where the pyroclastic flows and volcanic activity of Nakadake had rendered the Earth dry and barren. 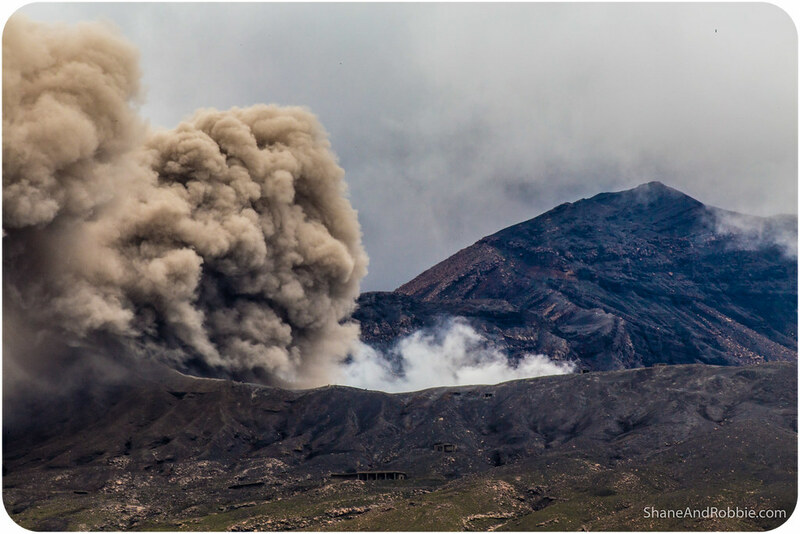 It was fascinating* watching the volcano constantly spew forth ash, and listening to the background roar of Nakadake. *Fascinating in a “let’s not linger too long” kind of way! 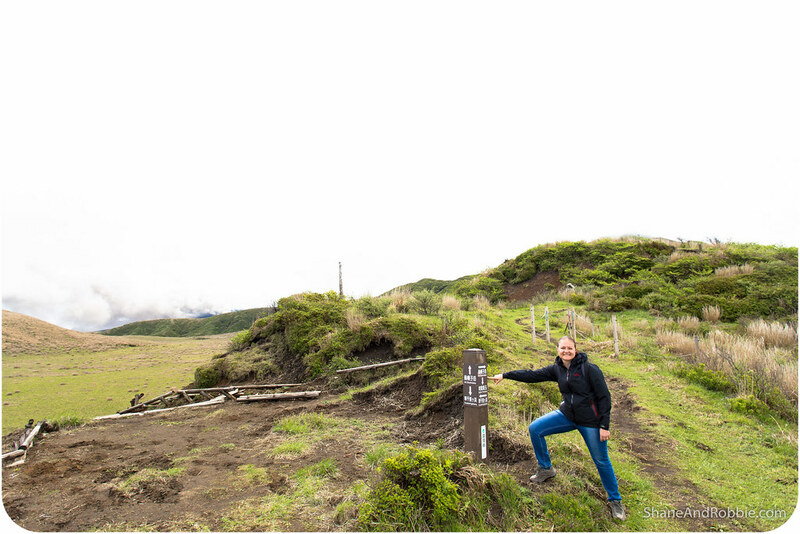 From the Aso Volcano Museum there are numerous hikes you can do. Most of the hikes take you up one of the smaller, not currently active volcanoes (e.g. Kijimadake or Mt Kijima, and Eboshidake or Mt Eboshi). 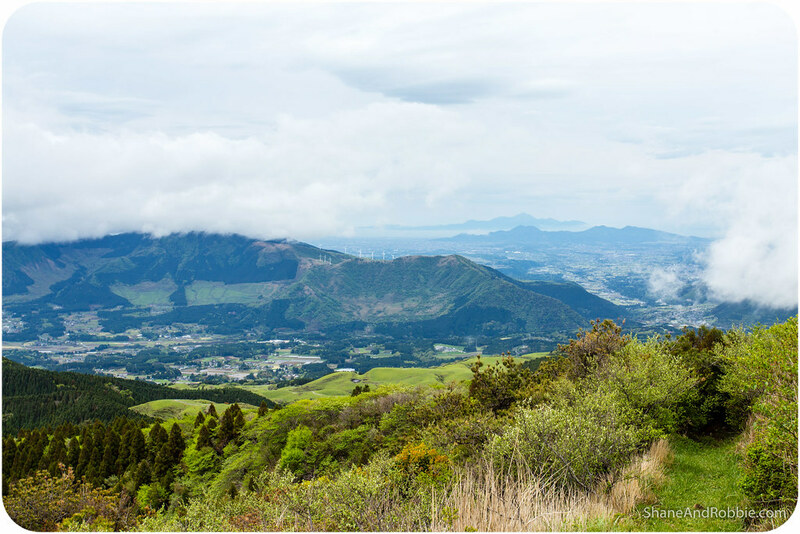 The prevailing wind was blowing all the ash and gases from Nakedake towards Mt Kijima so we chose to hike up Mt Eboshi instead. 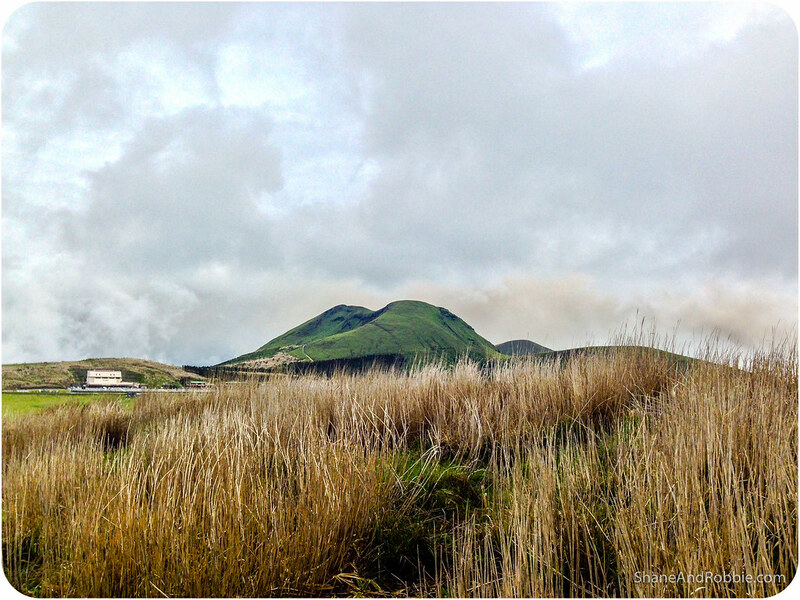 At 1,337m high this is one of the smaller volcanoes within the Mt Aso super-volcano, but was still a challenge to hike up – especially given it rained overnight and the black, volcanic soil we were walking through was still wet and slippery n places. The warning signs about treacherous terrain had me freaked out (no one wants to for a slip down the mountain, after all), but we made it fine. 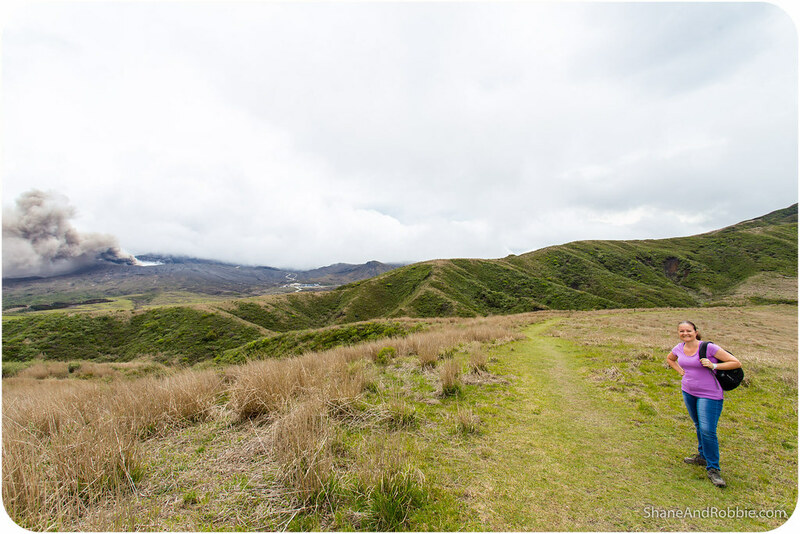 The hike was well worth it though; we had great views over the grassy valleys and plains that lie within the giant Mt Aso caldera and over towards the steaming crater of Nakadake. 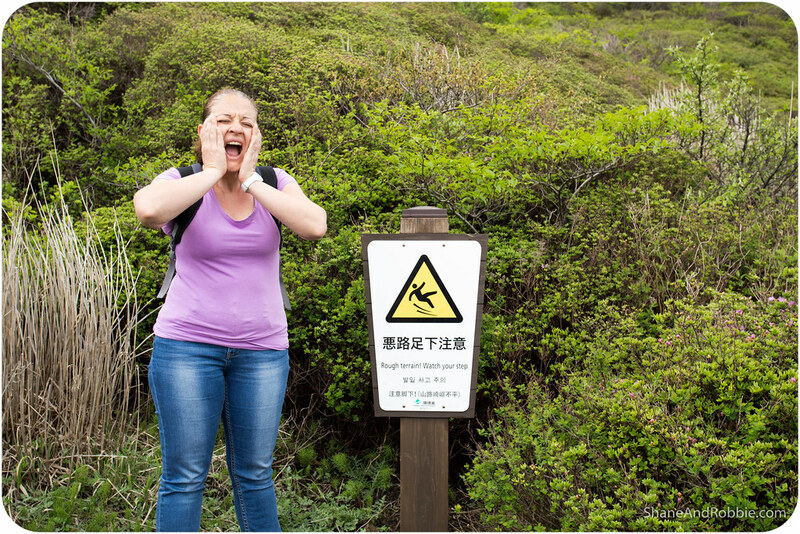 After a mountain-top picnic we clambered back down to the bus stop , making inappropriate and entirely immature jokes the whole way down about Aso-san, “stinky sulphurous emissions”, and the “Aso Ring of Fire”. And so after a good day’s hiking, we’re back in Kumamoto looking back over our photos and marvelling at how much raw power there is bubbling just under the thin crust of land we all live on! Aso-san was amazing; slightly terrifying, but awesome. We’re so glad we went to check it out today, and even gladder we made it back alive! 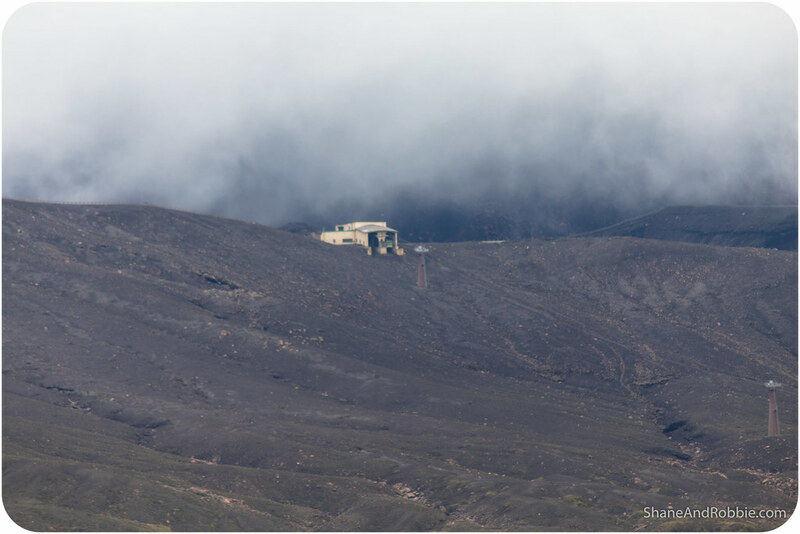 We’re also glad you made it back down the volcano alive – they seem to be waking up all over the place at the moment.